Melania Just Put Michelle Obama To SHAME With STUNNING Choice Of Action At Trump Rally! YES! She did good. She definitely did good. She also most certainly ticked off a whole lot of liberals by showing up their Queen Michelle Obama with such class Michelle could only dream of. President Trump is just one month into his four, HOPEFULLY eight year stay in the White House and took off to Florida so he could host a campaign rally. There he spoke about healthcare law. He also found time to spend on throwing FAKE NEWS media outlets under the bus…so awesome. Reducing regulations in order to generate more new jobs, the Trump wall and immigration were also brought up. President Trump also covered his ‘Travel Ban’ and how it got blocked by liberal turd nuggets in the courts. However, the big story coming out from this rally is on none of that….the big story is Melania and what SHE did there. Melania Trump was there to open the rally and she did so with the Lord’s Prayer. Now, whether you have a testimony of God or not, prayer is still something that unites people and provides a moment of peace for gratitude to be brought to mind. Gratitude for who we are and a reminder of just how we are going to make America great again. The First Lady was the first to take the stage and after the prayer she introduced her husband. Melania Trump rocked the prayer to a PACKED CROWD and the people loved it. Americans love their religious beliefs and believe it brings us together at a time where we need to stand tall. Even though Melania Trump is A LEGAL immigrant, she still loves America and all that our great country offers. She began Donald’s rally in the best way possible. Getting everyone’s attention, hushing the crowd with a prayer in unison, then letting the Trumpster take over. 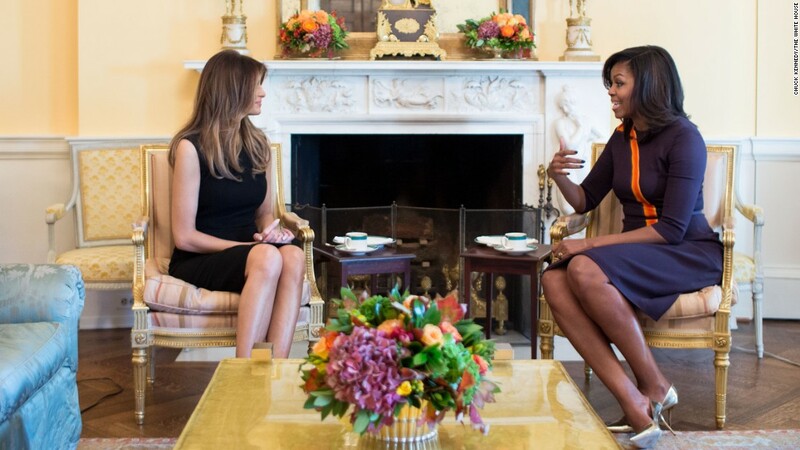 Now…when comparing to Michelle Obama and the times that she spoke, all we could hear was… America is racist, she is forced to wake up in a house that was built by slaves (wrong), anti-American tones and of course… the biggest lie she told about liberal America….when they go low, we go high. Did anyone ever hear Michelle Obama pray? Strange isn’t it? Michelle was born here in America and just seems to hate it. Melania is an immigrant and loves America.